Disclosure: I visited Highpoint's Fresh Food Market as part of a media contingent and received a gift pack from Mango PR. See end of post for full disclosure. 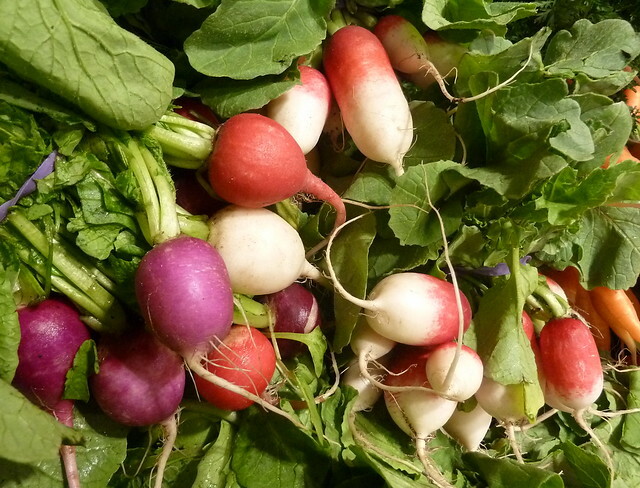 If I told you these darling French Breakfast radishes and friends were found at Highpoint, would you believe me? Now I know we love to hate Highpoint but I do secretly love having it up the road. For runners, sunnies, bathers and undies it's my go-to spot. 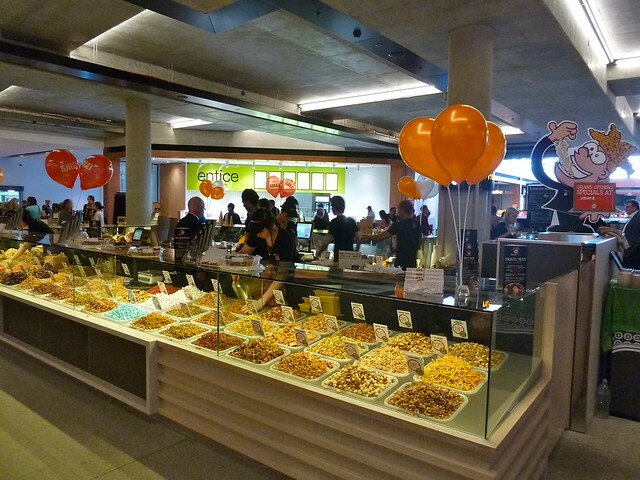 While I am partial to a sneaky Japanese pancake in the food court, it's never screamed foodie destination to me. 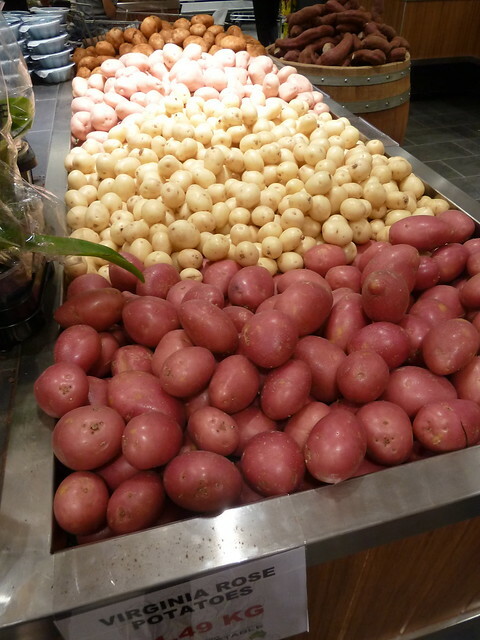 That might be changing, though, with the opening of Highpoint's new Fresh Food Market. I was invited on a media tour yesterday to check it out. This new wing of Highpoint has been developed with sustainable principles in mind. 90% of waste materials during construction were diverted from landfill, and a significant amount of rainwater is captured for use such as flushing toilets. I love these louvred windows in the fresh food area which let in natural light and open to let in fresh air, giving you a sense of connectedness to the outside world. The seating is much more organic, using lots of curves and bluestone excavated from the original quarry site Highpoint sits on. 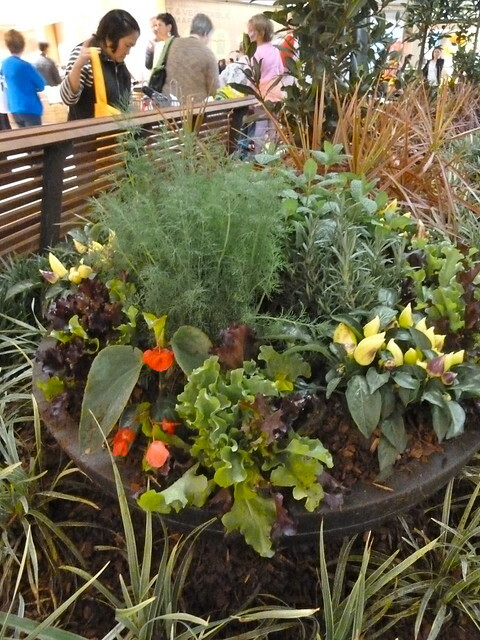 Check out the garden beds - the trees are bay trees and you are welcome to grab some leaves for cooking! Everyone should know where their local rosemary bush is, the one that some kind neighbour has planted so it sticks through the fence, perfect for sidling up to and surreptitiously relieving it of a sprig or two. I'm loving these herb tubs, where you can help yourself to a frond of dill or a cherry tomato! What the West needs is more good delis, and the new deli here is awesome. It's a family-run business by a fellow named Joe and his wife and they've relocated from Brunswick. I spy with my little eye chickens and pork hocks roasting over charcoal in the corner! Ditto the antipasti, with unusual things like marinated green tomatoes. They also sell traditional Polish "Grandmother ham" by Barkly Smallgoods, also seen in Footscray Milking Station's paninis - yum. 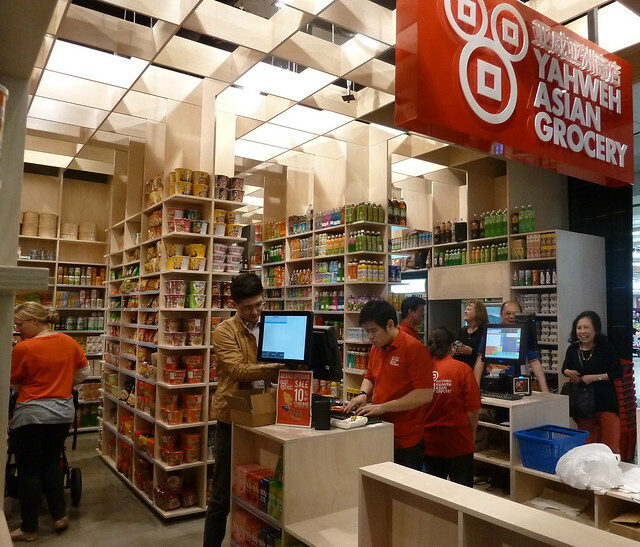 Yahweh Asian Grocer have their first store in Carlton and now bring their beautifully organised store to Highpoint as well. Check out their recipe blog here. This creamy sesame dressing, made by the Kewpie mayo people, is just delish. 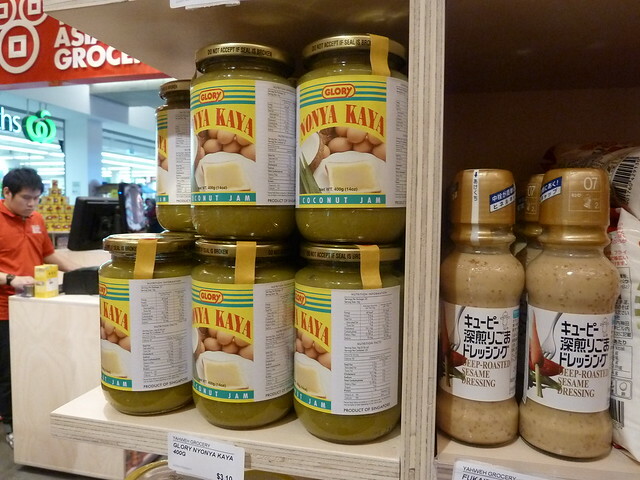 If you haven't discovered it, on the left is kaya which is a pandan-scented coconut jam... Yes, it is as good as it sounds! Put it on white toast like you'd use lemon butter. 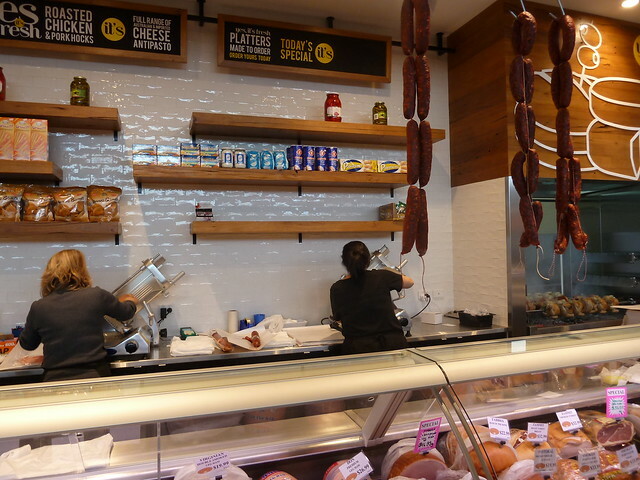 Here's the rather epic Melb Fresh Meats & Poultry. 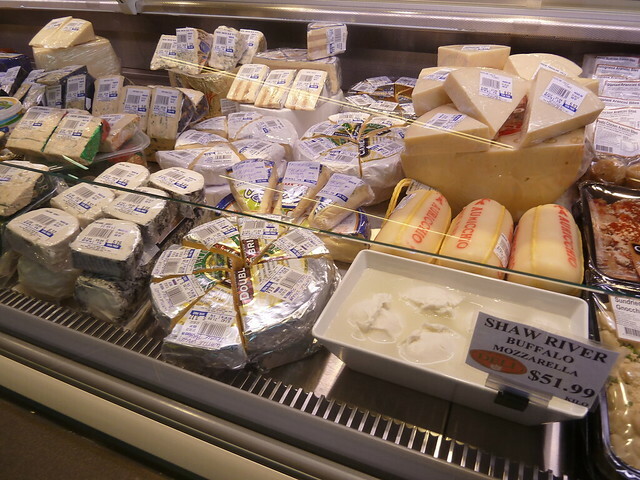 The store is divided in two, with pork on the right and 100% halal chicken, lamb and beef on the left. Super-duper imported French rotisserie coming soon! 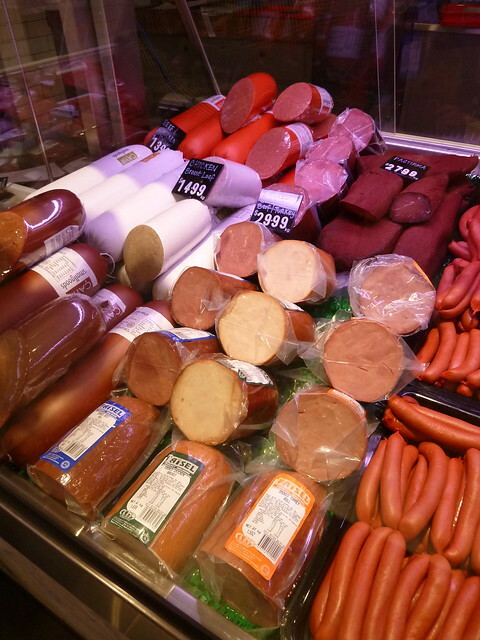 There's a full range of halal smallgoods like salamis and hot dogs. I spied lamb cutlets for $27.99/kg plus tripe, kidneys, rabbits, roo and free-range spatchcocks! 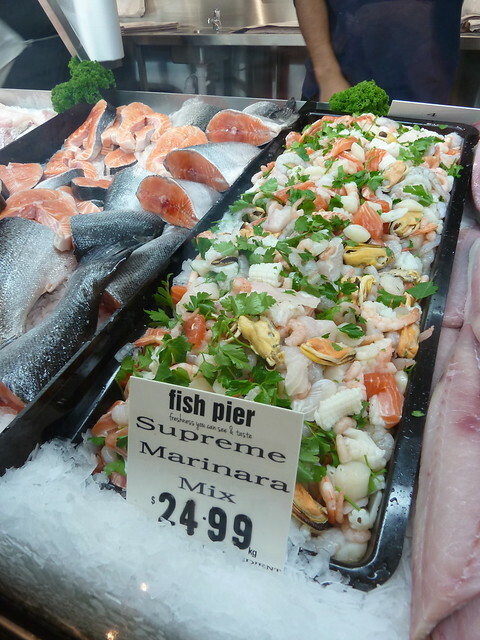 Truly gorgeous seafood at Fish Pier, with big wobbly pieces of fresh tuna like rosy Turkish delight, whole garfish and fresh oysters. This marinara mix was irresistible - see later on for an "after" pic! I should mention too that there is a huge new parking garage right at the door of Fresh Food, so it's easy to duck in. All throughout the centre's parking there is also this brilliant new system of tiny red and green lights above the spots and continually updating signs indicating if a row has any spots or if it's full. I love love love it - no more circling for hours hunting for a spot. 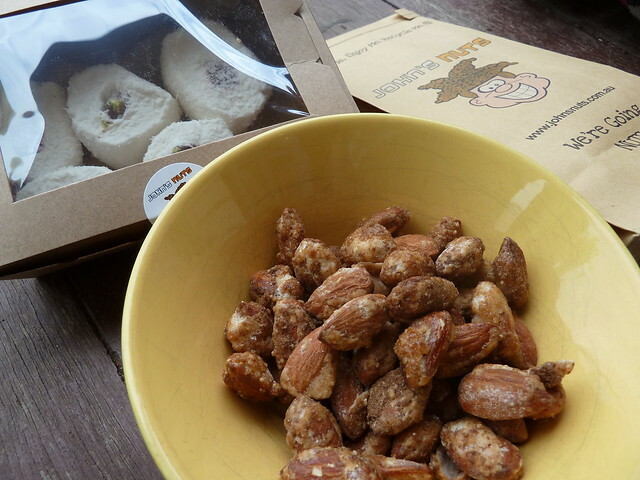 Did you know that John's Nuts' original store is the one in Paisley Street, Footscray? From there they now have stores in many shopping centres across Melbourne. 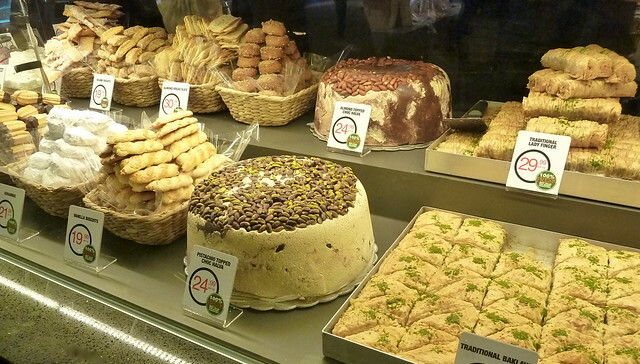 As well as two types of halva, they also have lots of savoury options including seasoned cashews that are totally addictive, and various "delights" which are little sugared cubes of apricot or pineapple mixtures. 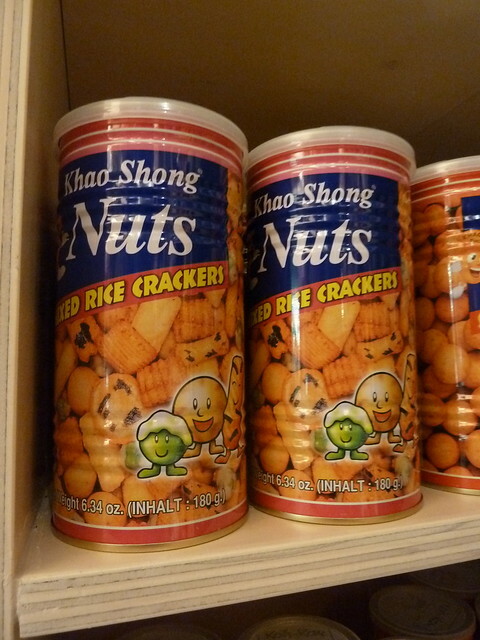 I have a soft spot for nut shops. My first job was in one and involved much "quality control" of Newman's chocolate almonds, Vienna peanuts and warm salted macadamias. ...even tiny Thai pea eggplants (next to the red chillies)! Check out the fresh almonds at top left, still in their green furry pods, and tamarillos next to them - they make the best chutney. ...and an utterly gorgeous spread of colourful capsicums. 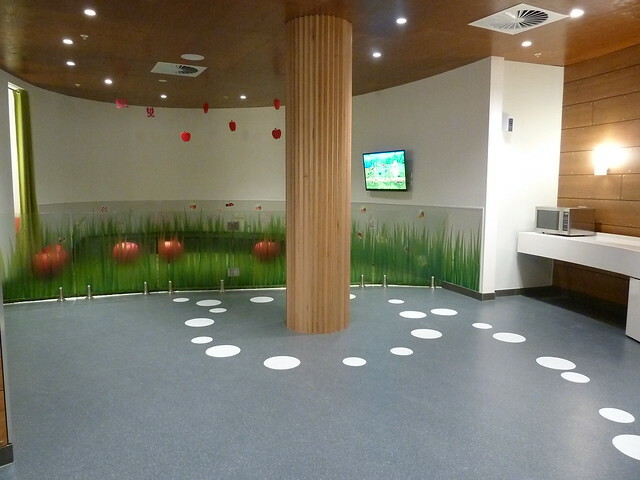 Fellow parents, check out the new babies' room, complete with sinks, microwave, breastfeeding cubicles, TELLY and corral, I mean, secure play area. LOVE. 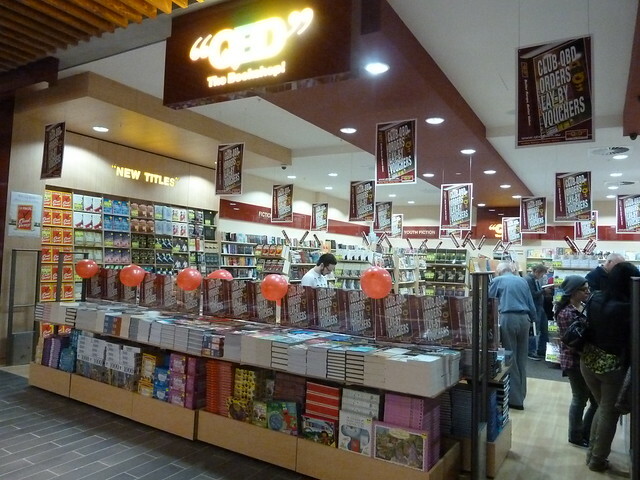 There's a whole spread of new shops that connect the Fresh Food Market with the existing mall, including Purebaby (100% organic cotton baby clothes) and a bookshop! Woohoo! 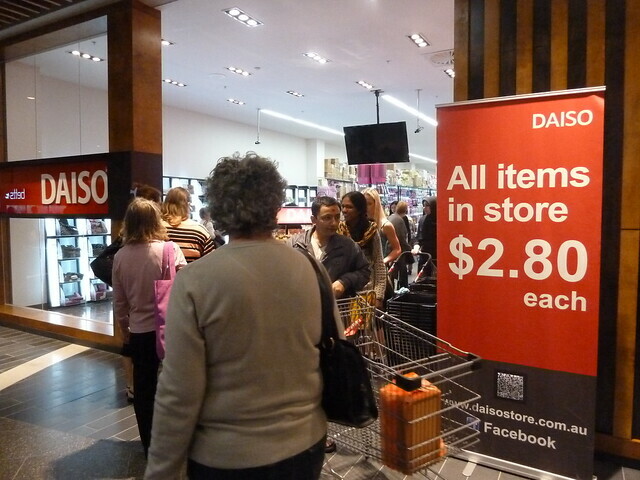 The next stage will open in February next year and will include David Jones and more upmarket fashion stores. I AM SO EXCITED ABOUT THIS. 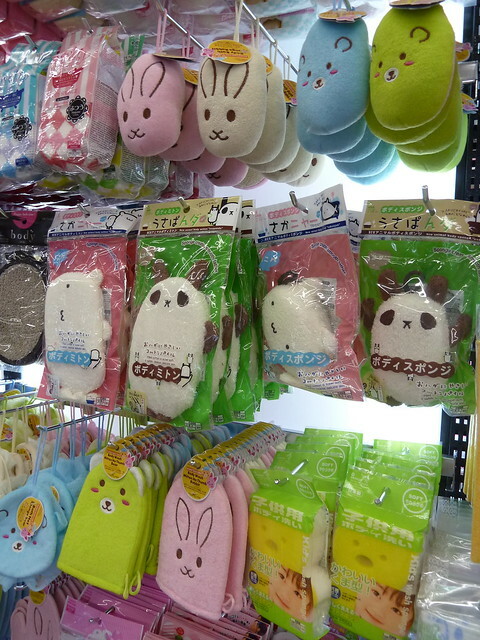 Daiso is a Japanese store where everything is $2.80. Are you ready for death by cute? Here's my haul at Melb Fresh Meats. 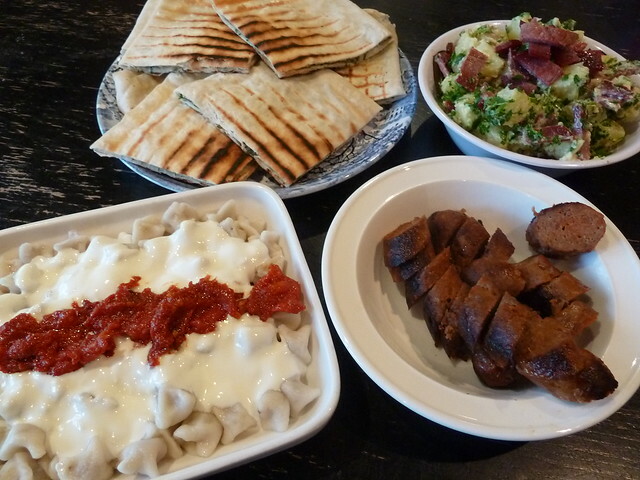 Gozleme is a flat, filled, Turkish bread made with very little oil, while manti are Turkish tortellini, if you like, filled with lamb. I also went for Bosnian sausages and bastirma, air-dried beef covered with spices. And here's one I prepared earlier! The gozleme was unreal - a light dough (not a pastry, so much lower in fat) with lemony parsley and feta inside. It was a big hit with the kids. The manti, served here with traditional yoghurt and crushed garlic sauce and a little tomato paste cooked in olive oil, were fantastic. (I got the recipe off the lovely manager at Melb Fresh Meats.) The sausages were all right - good flavour, with black pepper and maybe a little red, but I wasn't a fan of the skins that peeled off in patches during cooking. Fine for a sausage sizzle though! I made a potato salad with fried bastirma but honestly, just eat it on its own - it has the most delicious chewy texture and rich beefy flavour. Would be great for antipasti. 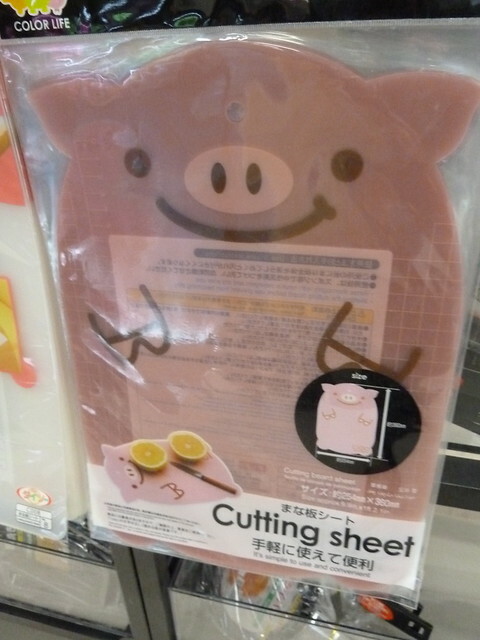 For the last word on the Fresh Food Market, I'll leave it to Daiso, because the Japanese always say it best. I reckon you will be really pleasantly surprised! Disclosure: I attended as part of a media tour, along with other journalists. I also received a gift pack from Mango PR that contained in part a voucher for Melb Fresh Meats and a Highpoint gift card. Attendance was NOT contingent on subsequently writing a post, nor was I required to spend any of the voucher or gift card that day, or write about my purchases. 2) Parents room looks great!! 3) In for some quality Buffalo Mozza... love it. 4) the Kewpie mayo with sesame is a treat, drizzle over some finely shredded lettuce or cabbage... YUM! 5) Good to see another quality Fisho in the west! Conway's can't be the only one! 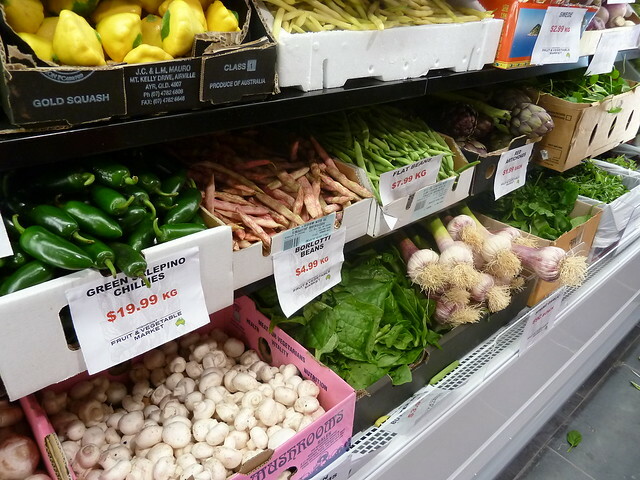 6) I need a source for some daikon radishes and thin eggplants (Japanese-style)... did you see any there? 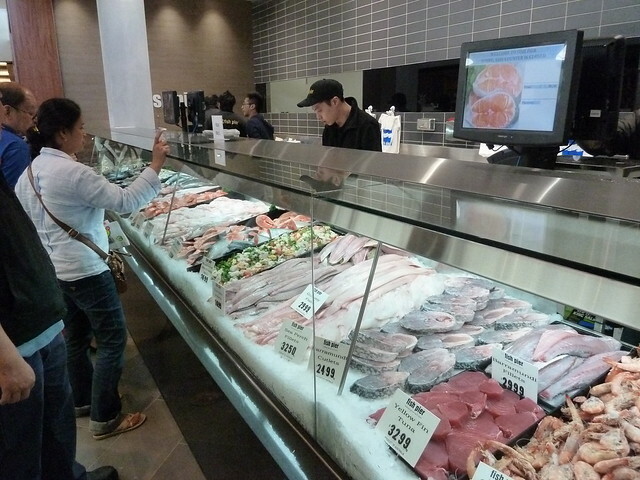 7) Does the Asian grocery sell Japanese rice (koshihikari)? 10kg bags? As to coffee in cardboard cups... get yourself a KeepCup! Love the blog... you are a star for the West! 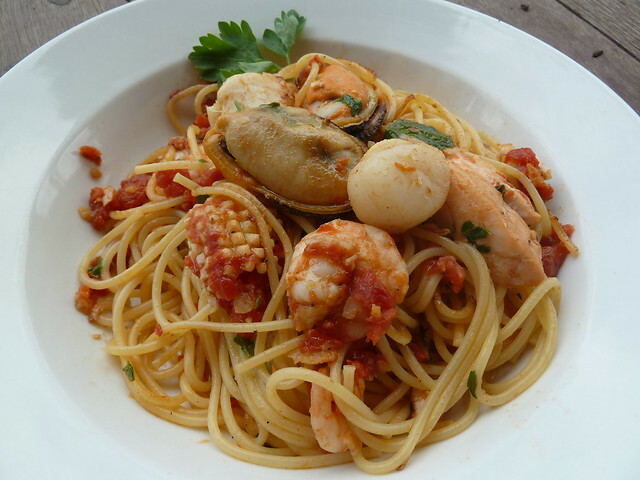 5) Don't forget Buttacavoli's at Footscray Market! I prefer them to Conway, much much cheaper and extremely fresh. 7) I *think* I saw proper Japanese rice. 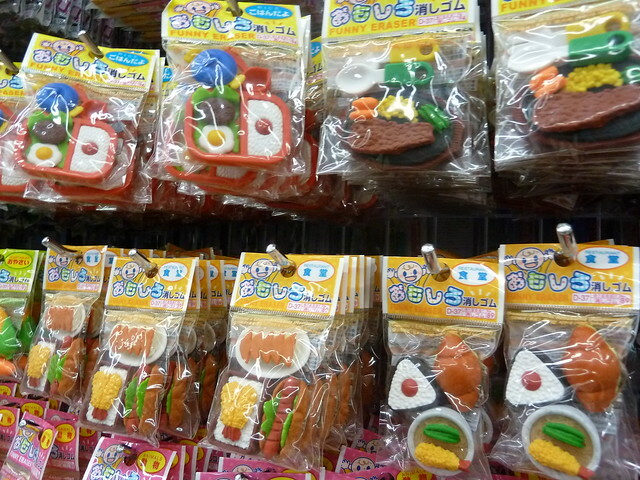 Good selection of other Japanese goodies like rice seasonings. You know, as I was writing that spiel about the cup, I honestly thought "someone is going to call me out for not having a KeepCup"! Do you know the only reason I don't have one is that on their website you can fully customise yours with body/band/lid/seal colours, and I am too much of a perfectionist/indecisive to choose the "perfect" combo! I think I wasted about an hour fiddling around before putting it off for another day! OMG!!! 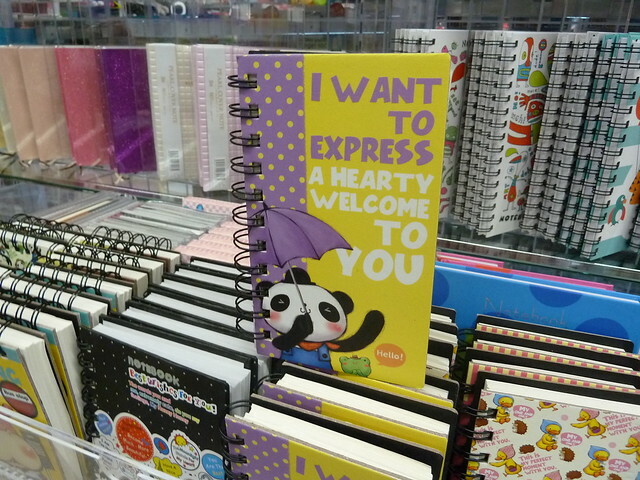 DAISO AT HIGHPOINT!!!! SHUT UP!!! I saw the sign about the fresh food market on my way home from bunnings and was wondering what that was all about! Maybe I need to re-assess my knifepoint aversion! Once again Lauren thank you for keeping us denizens in the loop. Can't wait to check it out ... where's the orange kaya?? I just saw something about this in the Maribyrnong Weekly and was wondering what to make of it from the advertising materials - looks much more enticing than I imagined! Thanks for the write-up. My pleasure! I know, I was pleasantly shocked! I can't believe I was at Highpoint last night and didn't check it out!! Looks great. Lol, I know someone else who was there on Thursday not knowing it had opened and was like, "Why is it so busy here today?" Wow! Super excited to go to Highpoint soon. Love that there is a Daiso there as well!! 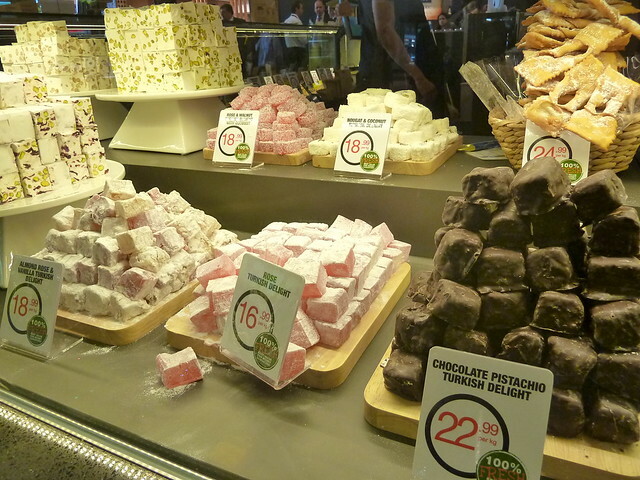 Haven;t been to Highpoint for 10+ years but this just might get me back there for a "gotta try that" food run. Being one male that admits to getting lost in shopping "mazes" was good to hear that parking is at the door. Now I only have to find the door. Great blog-thanks! but, btw Inhalt means "volume" or "cubic capacity" in german! It's a shame that people are getting so excited about a food market that's part of a soulless large shopping centre. You have had food of probably better quality, certainly better prices and definitely a much bigger range at the likes of the Footscray market or the Queen Vic market for years and years. Fair call anon. 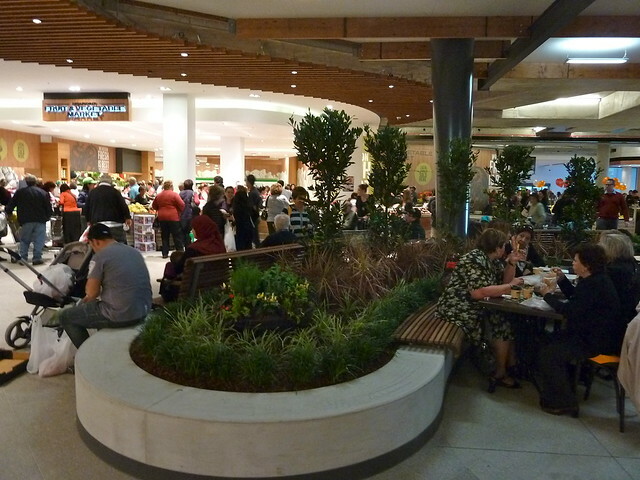 I do think though that as far as shopping centres go, this is a pretty awesome example of a fresh food precinct. 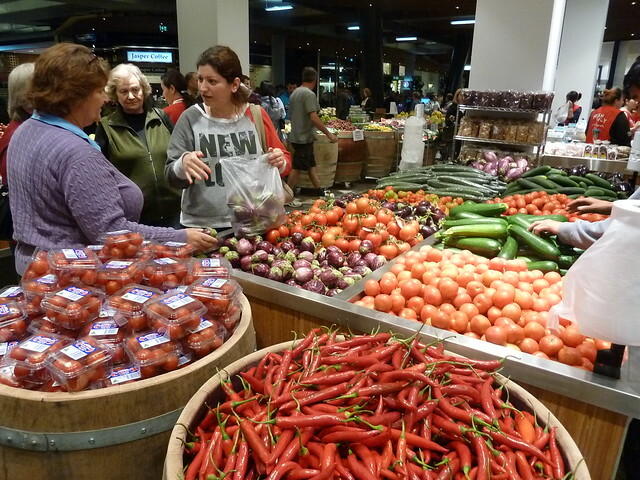 Anonymous, I agree 100% Vic Market is great for range, and Footscray Market for prices. But that doesn't mean we shouldn't get excited when something new and interesting opens! It would be like saying, 'Taj Palace is good, so it's a shame you food bloggers are talking about all these other Indian restaurants'. Bastirma/Pastirma at Highpoint! bring it on. Loved how you put it in a salad, it is how my partner wanted to use it after I made her try it. If you want to try something, use it to replace bacon, bastirma and eggs. 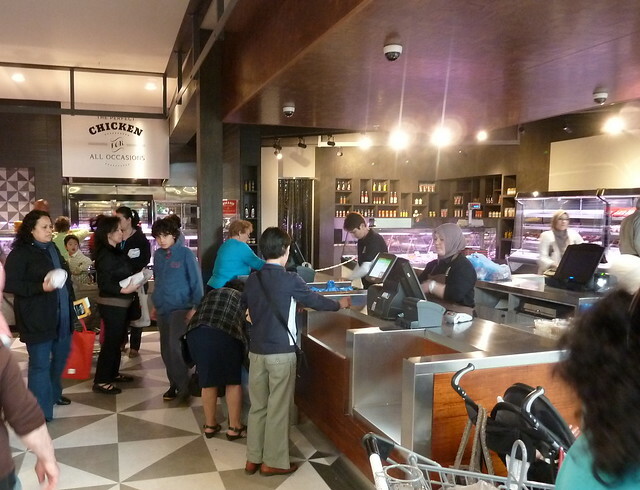 If it is the same deli that recently moved out of Barkly Square then it is a great acquisition for the west. Just got back from Highpoint, checking out the new stuff and buying a rug for our picnic! Really appreciate the more subdued lighting. Even took my sunnies off, which is something I never do in the rest of Highpoint. 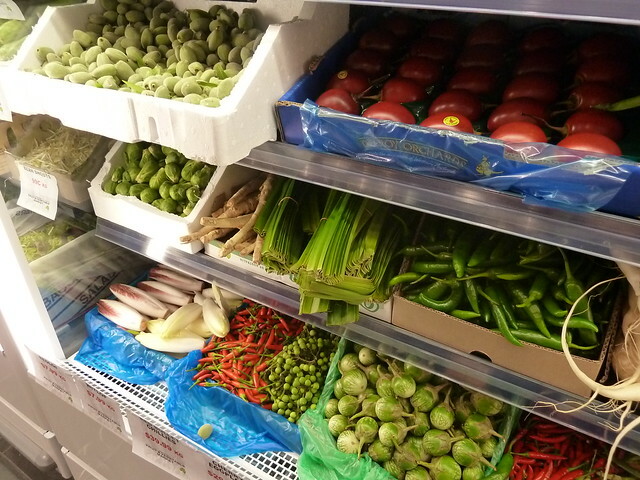 Fruit and veg - really, really good range at quite good prices. Wow. I hope they maintain that. I even got some tamarillos - at a price! Disappointed there's no really good and different eat-in lunch options. Perhaps they can't do that because of the food court operators elsewhere. No dedicated coffee option, although there seems to be one on the way. 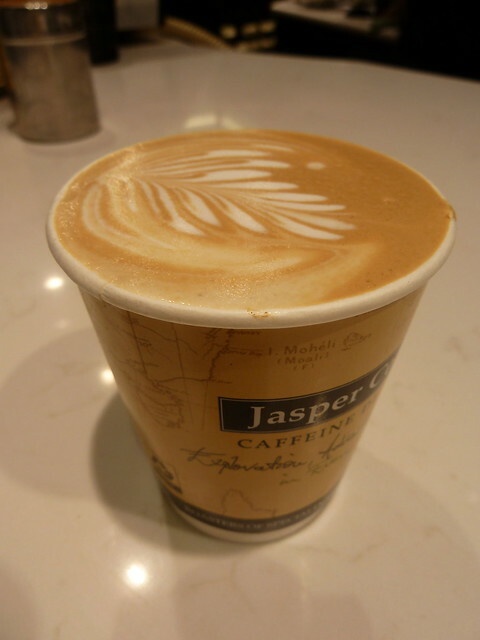 The day I went, Jasper Coffee were open but I've since heard that they've closed already?! 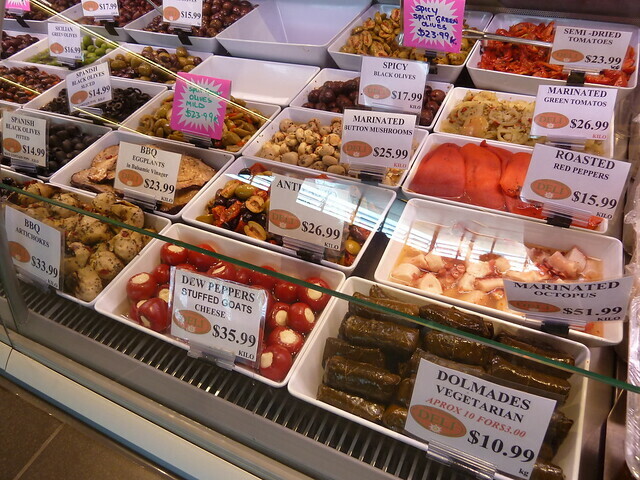 I love the whole new Highpoint Fresh Food Market!! it is great to have woolies back in the precinct and having a supermarket in a shopping complex makes it so much more convenient for us. Hey Chun, my pleasure! I've followed your Carlton Facebook page for a while so I was chuffed to see you opening a store in the west! Would you be able to do a review for Snow Tree? It's a cafe on Leeds St (sorry - no idea about the exact address). It's around the Subway / Westpac steet close to the station. From what I heard it's a cafe. Waffles!! Highpoint is such a horrid place, I'd hate to think this review encourages people to go there at the expense of Sims, LaManna, Little Saigon, Seddon or any other place which provides a semblance of interest and variety and contributes to the community where it resides. Greedy robber barons!!! I was also surprised at how poor the new supermarket layout is. Woolworths are being left for dead by Coles in terms of store layout and Sims and LaManna in terms of product offering. It is just blah. And the bottleshop was tiny, with not enough sparkling in the fridge. Justin, as Kenny of CTS has said - like it or not, Highpoint is part of the western suburbs landscape. I choose to engage with it rather than ignore it. 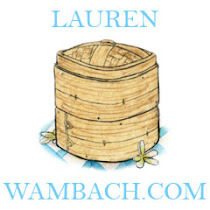 Lauren,the joy of this blog has been going to places I would never otherwise have heard of, with the wonderfully kid friendly Ancheto probably the best example. There is no way I would have learnt of it if I hadn't read it here. So there is something about reading reviews of Highpoint, a shopping centre worth probably $1.5 billion that does not have a great reputation amongst its near neighbours, that I (and some others by the look of it) find a little disconcerting. There is probably a story in the co-opting of bloggers by major corporations to be a part of their PR strategy. Whether or not the "gift pack" came with strings attached or not, there is always going to be a perception of a conflict of interest. I note the "full disclosure" did not state the value of the vouchers. Would love to see the media (epicure, are you there?) kick around the pro's and cons of this issue. Oh Justin... The voucher was $50 and the butcher voucher was $25. OK? Two people have written to me thanking me for my somewhat OTT disclosure but obviously it's still not "disclosed" enough. Despite obviously being a regular reader and finding benefit from my blog, do you now think I'm some sort of corporate stooge because I went on a media tour of Highpoint? I would have hoped almost three years of sniffing out little-known places on the largely forgotten side of town would have stood for something. I do not have some sort of anti-corporate agenda and have never pretended to. I've been to Guzman Y Gomez and Mamak - both Sydney imports and "chains" in a sense. At the same time I've eaten pan rolls, Nepalese momos and UFO-shaped idlis in barely empty restaurants - and received lovely mail from hardworking owner-operators saying how many new customers they have had since. I'm just trying to cover ALL the west, from chi chi cafes to pho joints with sticky condiment bottles and everything in between. I think Highpoint falls within that spectrum. Besides, I just love good food. I don't think anyone has a monopoly on that. 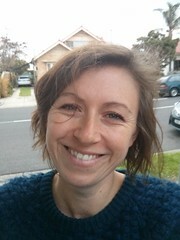 I got similar angry comments from people about Bongiovanni and my excitement at his new store as he was supposedly "sucking the lifeblood" out of the existing Seddon strip. Can't please everyone. I'm sorry that despite so many years of writing, you don't trust me to be honest. i loved the post. any chance that jasper will be opened? what is happy lab by the way? Will you do a post on this? Thanks Sally. Not sure what's up with Jasper! Happy Lab is that crazy lolly shop down where everything comes in test tubes and the workers wear lab coats. Not sure if I'll do a post on them, but I do have some exciting sweet developments in Footscray coming up - two in fact! FWIW, I'm with Lauren on this. Not that that's much surprise. And yes, Justin, I got the same PR graft, though was unable to attend the launch as I was working elsewhere. However, had I been free to do so, I would have happily attended. Consider The Sauce has done two posts on Highpoint. And Lauren quotes me 100% correctly in regards to HP, love it or loathe it, being part of community. It ain't going nowhere just if we choose to ignore it. Like Lauren I have done some bloody hard yards of sleuthing and research. And likewise, I feel no obligation to adhere to any particular politics or philosophy. I'm a journalist/blogger. Or a blogger/journalist. I'm intensely curious about everything around me. An what's more, the more someone says it's un-PC for me to do something or cover it on my blog, the more keenly am I going to be interested in doing so. 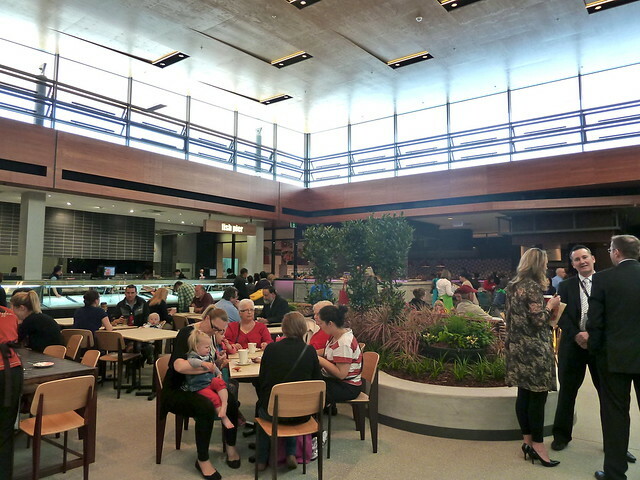 A question for you: Do you think western suburbs food blogs should ignore Highpoint? Or cover it, but only in a negative manner? cover it in a great way I say Kenny! But Justin, lest you think we're both being too touchy ... I think it's fair to say we both love and welcome such scrutiny of our blogging, and that we habitually consider and even agonise over such issues factors more often than you may imagine. Thanks for another good tip on your blog. I'm with you on embracing this sort of thing at Highpoint. I think the Highpoint naysaying is a bit unrealistic, I mean where else do people go for their undies, doonas, cool Chistmas presents from the Australian Geographic shop? The same shops in central Melbourne would be my guess... 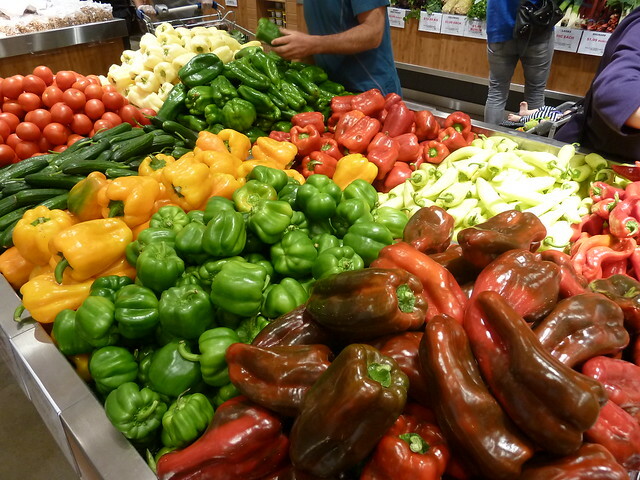 I go to Highpoint and if I can have some real choice for food shopping while I'm there, rather than only the big name supermarkets, then I'm happy (and so are my kids, having escaped being dragged to another two or three locations to buy food). Thanks Jane. I'm not a shopping centre groupie but when I lived in Richmond, before Victoria Gardens was built it was really annoying when you just wanted something as simple as a packet of undies and had to drive to Camberwell Target. Shopping centres have their place. And definitely second that about the kids - it sounds lovely to traipse along with a basket and fill it gaily, market stall to market stall, but combine that with a trailing gaggle of snot-nosed tackers and on a certain day, that is the definition of hell's third circle. Ouch. Kenny, in response to your question on covering Highpoint, it is clearly up to you. But, conflict of interest 101 says that a conflict of interest may be real or perceived. In this circumstance accepting a goodie bag clearly makes it real. I'd suggest you continue to cover it as the need arises, but don't take the bribes. But it may be that I am just old fashioned. And following on from that I never meant to imply that you weren't honest Lauren. It is the Highpoint marketing machine co-opting local blogs that troubled me, given it would not be hard to construct an argument they don't contribute much to the community within which they sit (except a lot of traffic). 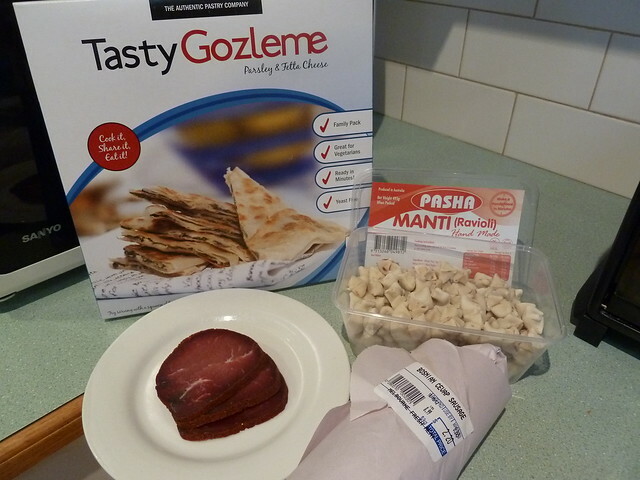 But I probably found the Gozleme in a box more disconcerting! I will now put my tail back between my legs and shuffle off. Hi Justin, sorry to bite your head off earlier. You got me on a day when my two jobs, three kids and one woefully inadequate child-free day per week were really getting to me. I do really value your feedback and those of all readers - everything worthwhile needs checks and balances and you and all readers provide those, keeping me in check. For me, the greatest reward of writing this blog is the amount of positive feedback I get from both readers and restaurateurs. It is an expensive hobby though and I have no expense account or salary to offset what I spend per week to bring you a post per week. To date I have accepted three free meals and I have honestly valued the chance to take a long-suffering friend or two out for a slap-up, free meal. I have also turned down free stuff because I don't think it's at all relevant to you readers - Dilmah Tea high teas, Taste of Melbourne stuff etc. I even gritted my teeth and turned down a champagne and oyster thingy in the city (they said I could only go if I wrote about it) - believe me, turning that down was actually physically painful! Anyway, what I'm trying to say is that for me at this point, freebies are a tiny but valued way to offset the overall cost of my blog. I am sorry you feel that there's still a conflict of interest no matter what. That's why I put a disclaimer at the top and the bottom so if you don't want to hear about a freebie thing, you can switch off the minute you see those italics instead of having to get to the bottom and feel let down. So I am sorry about my "it's my blog and I'll cry if I want to" moment. :-) Please keep challenging me and interacting with the subject matter. As Kenny said above, "I think it's fair to say we both love and welcome such scrutiny of our blogging, and that we habitually consider and even agonise over such issues factors more often than you may imagine." There's no bachelor in blogging - we all make it up as we go along! With our readers' help, we'll find a "middle path" somehow. Well we now what happens when my pathological dislike of Highpoint clashes with you on a bad day. And thinking about it, I probably also have a preference for the Ruth Reichl style of reviewing, reviewers in disguise! But obviously she was paid by her employer and I hadn't really thought about the expense aspect of blogging, so if you can take a few shekels off Highpoint then good I suppose. And, as you note, it is your blog and you are perfectly free not to approve posts which you don't like, which to your credit you haven't. Though I wouldn't really blame you if you did. Stick around, Justin - you're good for the soul! FWIW, I'm re-considering my approach to these issues. Truth is, the places Bennie and I like most are mostly so cheap that not a lot would be foresaken by drawing a firmer line. And as you point out, it's almost always possible to cover the story without freebies. A hard-won reputation for honesty and integrity, which people tell me often enough Consider The Sauce has in common with Footscray Food Blog, is not something to be weakened without very good reasons. And in some ways, I already yearn for a situation in which there is no muddying of the waters whatsoever. It makes me think of another Melbourne blog. A blog on which each and every "review" is relentlessly positive. A blog on which there are no comments or interaction with visitors or ordinary punters. A blog that has a very high Urbanspoon ranking. A blog that has no disclosures of freebies. I suspect - but have no way of knowing, of course - that the "reviews" involve quite a few free meals, perhaps even most. By extension, it's not impossible that there are blogs for which securing freebies is the whole reason for being. whose blog might I ask, Kenny? Hopefully not mine which is ranked at 1.